In the text box below, list the numbers or names of the parts you want and the quantity. In the text box below, choose the size carburetor parts are for. Place your e-mail address and country parts are to be shipped to in the box below and I will send you a price quote. Use the text box below for questions or details of your order. OKO offers this clear float bowl for the K-101 series so you can easily check the float level, or see if any dirt or water has accumulated in the bowl. It attaches with four screws (incuded). 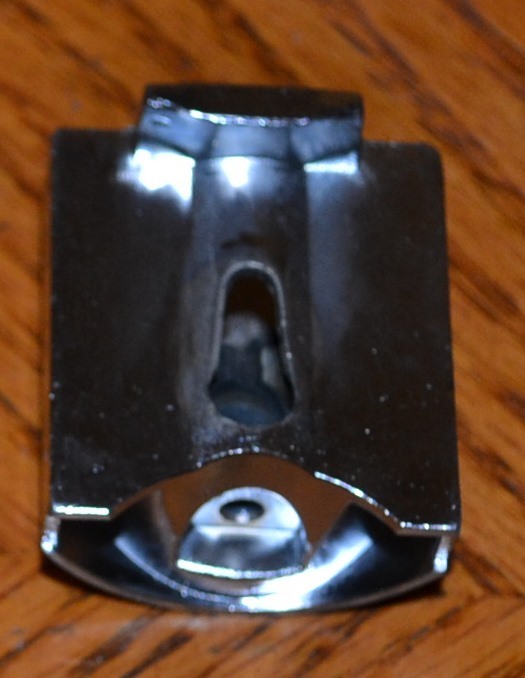 It does not have the bottom nut for access to the main jet. This may be purchased by itself or with a K-101 Carburetor kit. Click on the "options" when ordering. This kit includes one foot of 1/4 inch Tygon Fuel hose, which will not harden or get brittle, one 1/4" plastic/brass fuel filter and two sleeves for use when the hose is a loose fit . We are offering two UNI 2 stage foam filters to fit the K-101 and K-104 series of carburetors. Each are angled 15 degrees and are 4 inches in length. K-101 Series is 2" inside diameter, K-104 Series is 2.5" inside diameter. Select the right filter for your carburetor from the drop-down box. We carry several Needles for the K-101 series. The stock needles for the various sizes from 30mm to 21 are available. Note: To date, we have used the 28mm, JJH needle for all applications from 21 to 28mm. 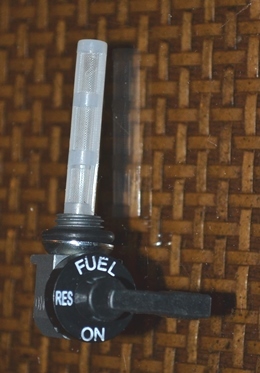 We suggest you try the JJH if you find the stock needle has too much taper, giving a rich mixture towards 3/4 throttle. We carry a large selection of main jets from #95 to #180. Ask us if the size you need is not listed here. We carry a large selection of slow or pilot jets, from #32 to #70. Click the drop-down box to select the jet you need. This curved top for the K-101 is sometimes the answer to limited space above the carburetor. It uses slightly more free cable than the straight top. 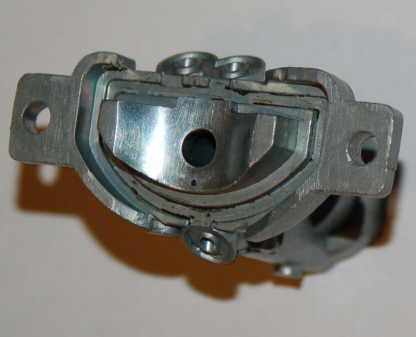 There are three replacable rubber gaskets in the K-101 Carburetors. 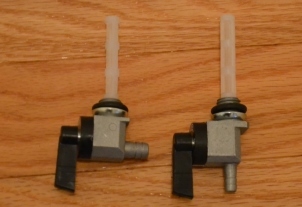 One is for the float bowl, another is for the float bowl drain plug, and the third is for the jet block. These are a good set of spares to have on hand. Note: OKO has thickened the jet block gasket, eliminating early leakage problems of air and/or fuel from the float bowl. A good seal here is imperative to get your OKO properly dialed in. This is the Domino slow throttle used in trials. Kit includes a "set screw" throttle end to eliminate soldering. Choose either the "slow" or "fast" throttle. 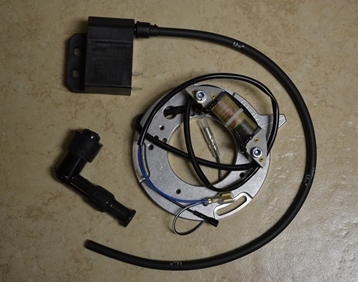 We now offer Electrex World electronic ignition kits for several Trials motorcycles as well as other bikes. These are made in the UK and are of very good quality. We can supply them for BSA, Bultaco, Fantic, Triumph and Yamaha Trials bikes as well as others. Prices for Bultaco and Yamaha kits start at around $250.00. Call for availability and prices. Call Roger at 410-635-6722 or 443-821-6154. Note: We currently have a TY 250 kit in stock for $250 plus $10 shipping. 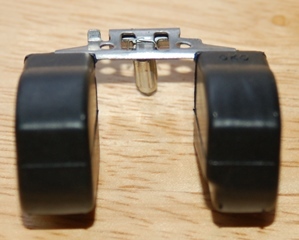 We carry replacement slides for the K-101 Series from 21mm to 30mm. Select the slide from the Drop-down list. Note: OKO does not use different cutaways as others do. 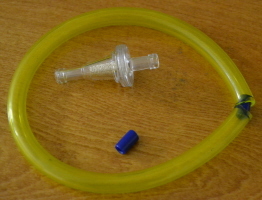 The bottom of the slide is made to match the profile of the jet block. We carry jet blocks for all sizes. Not normally a wear item but can get plugged or damaged. It comes with a jet block gasket as above on the right. We have not had any issues with floats, but have had requests for these. They come with the float needle with the Viton tip. Float leakage problems are mostly caused by wear or damage to the float needle tip. 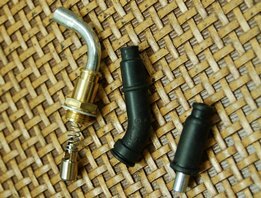 For bikes that have poor access to the regular pull choke, OKO has this conversion kit to change over to a cable operated choke. Comes with a curved top, and we also can provide a straight top if desired. We will soon be providing a kit that will include a Venhill universal cable and an alloy Domino choke lever. For now, if needed we have the cable listed lower on this page. If your carburetor has a thin jet block gasket, it should be changed to a thicker one, as the thinner ones are prone to leaking. Fits all K-101s from 19 to 30mm. Comes complete with spring. Idle screws are different for different size carburetors. Let us know what size you need it for, Comes complete with spring. We carry and sell virtually every part for the K100 series of OKO carburetors. Parts for the larger K-104 series are not yet listed, but all are available. Contact us using the form at the bottom of the page for prices and availability. Shipping is included for orders with carburetors, or those totaling over $20.00. 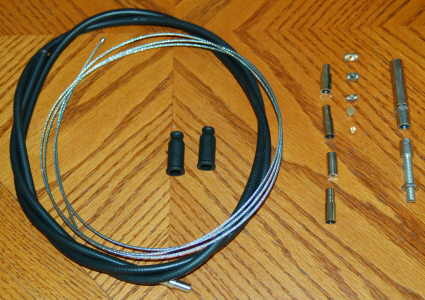 This universal cable kit from Venhill comes with everything needed to create your own custom front brake or clutch cable. Outer housing and wire are over 4' long with an array of fittings. Lever end fits three hole sizes and comes with an eight mm set screw barrel for the other end. USA buyers: Select shipping cost of your order below. Used on Many Spanish and British bikes that had AMAL MKI Concentric carburetors. 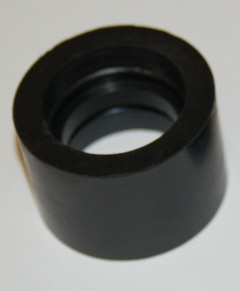 They are 1/2" thick and the bolt holes are 2" on centers, made for 5/16" or 8mm bolts. All parts orders shipped within the USA totalling less than $20.00 will require $5.00 for shipping. USA buyers, please select the proper shipping cost with the shipping "Add to Cart" button to the right. All international parts orders will be charged shipping according to the weight and type of package. We will notify International buyers with a shipping cost via e-mail and send a Paypal invoice. K-101 carburetors, from 19mm to 30mm. Select the size from the drop-down box. This universal throttle cable kit from Venhill is 92 inches long and comes with everything needed to create your own custom throttle cable. Slide end is already attached and a solderless throttle end is included.